LHM Super Ford SFO has a wide selection of exceptional pre-owned vehicles to choose from, including this 2004 Volvo V70.Drive home in your new pre-owned vehicle with the knowledge you're fully backed by the CARFAX Buyback Guarantee. Exceptional in every sense of the word, this incredibly low mileage vehicle is one of a kind.A truly breathtaking example of pure vehicle design achievement...this is the vehicle of your dreams! The quintessential Volvo -- This Volvo V70 2.4L Auto w/Sunroof speaks volumes about its owner, about uncompromising individuality, a passion for driving and standards far above the ordinary. Only 158,445 Miles! Boasts 35 Highway MPG and 28 City MPG! This Plymouth Neon delivers a Gas I4 2.0L/122 engine powering it's sleek transmission. Warning lamps-inc: airbags, seat belts, high beams, oil pressure, brake system, check engine, Variable intermittent windshield wipers, Trunk light. * This Plymouth Neon Features the Following Options *Tinted glass, Tilt steering column, Steel side-guard door beams, Remote driver/manual passenger mirror, Rear window defroster, Rear outboard 3-point safety belts/rear center lap belt, Rear Cupholder, Rear Chapman strut suspension w/dual lower transverse links/trailing links, Pwr rack & pinion steering, Pwr front disc/rear drum brakes. * Stop By Today *Stop by Larry H. Miller Ford Lincoln Provo located at 1995 North University Parkway, Provo, UT 84604 for a quick visit and a great vehicle! Delivers 32 Highway MPG and 25 City MPG! 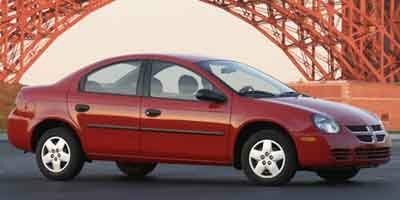 This Dodge Neon delivers a Gas I4 2.0L/122 engine powering this Automatic transmission. SMOKERS GROUP -inc: removable ash tray, cigar lighter, MANUFACTURER STATEMENT OF ORIGIN, EXTRA COST PAINT. *This Dodge Neon Comes Equipped with These Options *24J CUSTOMER PREFERRED ORDER SELECTION PKG -inc: SOHC SMPI 16-valve 4-cyl engine, 4-speed auto trans , CLOTH LOW-BACK BUCKET SEATS (STD), 4-SPEED AUTOMATIC TRANSMISSION, Variable intermittent windshield wipers, Unique child tether restraints, Tinted glass, Tilt steering column, Tachometer, Speed-sensitive pwr door locks, Sentry Key theft deterrent system. * Visit Us Today *Stop by Larry H. Miller Ford Lincoln Provo located at 1995 North University Parkway, Provo, UT 84604 for a quick visit and a great vehicle! Looking for a clean, well-cared for 2004 Mazda Mazda3? This is it.This vehicle is loaded with great features, plus it comes with the CARFAX BuyBack Guarantee. There are many vehicles on the market but if you are looking for a vehicle that will perform as good as it looks then this Mazda Mazda3 4dr Sdn s Auto is the one!There is no reason why you shouldn't buy this Mazda Mazda3 4dr Sdn s Auto. It is incomparable for the price and quality. This is about the time when you're saying it is too good to be true, and let us be the one's to tell you, it is absolutely true. Priced to sell at $365 below the market average. This model has many valuable options -Leather seats Great family vehicle, with third Row Seating -Heated Mirrors -Premium Sound System -Fog Lights -Rear Bucket Seats -Front Wheel Drive -Multi-Zone Air Conditioning -Rear Air Conditioning -Power Locks -Keyless Entry -Power Windows -Seat Memory -Cruise Control -Leather Steering Wheel -Roof Rack Automatic Transmission -Rear Bench Seats On top of that, it has many safety features Save money at the pump, knowing this Chrysler Town & Country gets 24.0/17.0 MPG! Call Larry H. Miller Used Car Supermarket Sandy at (801) 553-5317 to confirm availability and schedule a no-obligation test drive! We are located at 10990 South Automall Drive, Sandy, UT 84070. This outstanding example of a 2000 Dodge Dakota Club Cab 131 WB 4WD SLT is offered by LHM Super Ford SFO.How to protect your purchase? CARFAX BuyBack Guarantee got you covered. Where do you want to go today? With 4WD, you can choose to drive virtually anywhere and on terrain 2WD vehicles can't handle.The Dakota Club Cab 131 WB 4WD SLT has been lightly driven and there is little to no wear and tear on this vehicle. The care taken on this gently used vehicle is reflective of the 189,000mi put on this Dodge. This is the one. Just what you've been looking for. Scores 32 Highway MPG and 25 City MPG! 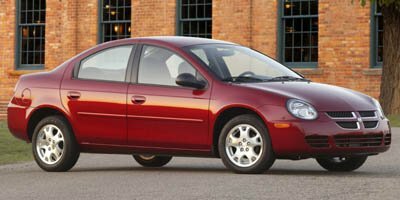 This Dodge Neon delivers a Gas I4 2.0L/122 engine powering this Automatic transmission. SMOKERS GROUP -inc: removable ash tray, cigar lighter, QUICK-ORDER PKG -inc: base vehicle, POWERTRAIN -inc: 2.0L SOHC engine, 4-speed auto trans. *This Dodge Neon Comes Equipped with These Options *CLOTH LOW-BACK BUCKET SEATS (STD), AM/FM STEREO RADIO W/CD PLAYER -inc: changer control, (6) speakers, AIR CONDITIONING, 4-SPEED AUTOMATIC TRANSMISSION, Variable intermittent windshield wipers, Unique child tether restraints, Tinted glass, Tilt steering column, Sentry Key theft deterrent system, Rear window defroster. *Visit Us Today*Stop by Larry H Miller Toyota Murray located at 5650 S STATE ST, MURRAY, UT 84107 for a quick visit and a great vehicle! Vehicle may have additional accessories added that could increase the vehicle price. Sunroof | Leather | Heated Front Seats | Keyless Entry |Meet our 2005 Honda Odyssey EX-L shown off in Silver Pearl Metallic. Powered by a reliable 3.5 Liter V6 that offers 255hp while connected to a smooth shifting Automatic transmission. This Front Wheel Drive combination will earn near 28mpg on the open road. Alloy wheels, roof rails, rear spoiler, and privacy glass are just a few of the exterior finishes our Odyssey shows off well.The EX-L trim on our Odyssey features a leather interior, heated front seats, and a sunroof. You'll love the convenience of the third-row Magic Seat, air filtering air conditioning, six-speaker AM/FM/CD Player with rear audio controls, and much moreWIth Honda, you won't need to worry about your precious cargo with safety features such as side-impact door beams, brake assist, anti-lock braking system, vehicle stability assist, and a fleet of airbags. If you need a family hauler but still want to ride in something stylish and luxurious, Print this page and call us Now... We Know You Will Enjoy Your Test Drive Towards Ownership! 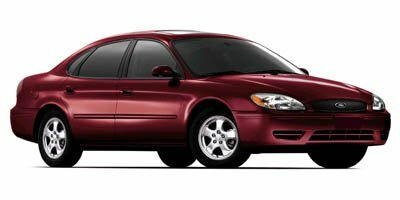 Keyless Entry | Power Driver Seat | Power Accessories |Meet our attractive 2002 Ford Taurus SES Sedan in Matador Red Metallic. Powered by a robust 3.0 Liter V6 that offers 200hp while connected to a 4 Speed Automatic. Shifts are positive, authoritative, and at the same time, almost impossible to feel. Our Front Wheel Drive grants you with nearly 26mpg on the open road, which means fewer stops at the gas station.Our SES trimmed cabin is functional and attractive, with controls that are straightforward and easy to use. The interior textures have a high-quality look and feel. You will be met with a full complement of comfort and convenience features with the soft cloth seating and the AM/FM radio and CD Player. Take a look at our pictures and features list to see what all our Ford Taurus has to offer.With Ford, the safety list includes ABS, child safety locks, air bags, and more. The Taurus is in a league of its own. Print this page and call us Now... We Know You Will Enjoy Your Test Drive Towards Ownership! 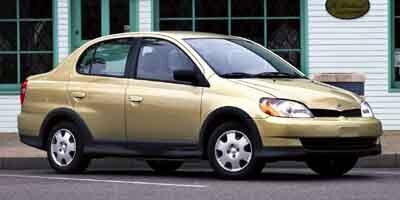 Power Accessories | CD Player | Keyless Entry |Check out our 2004 Honda Civic LX Sedan shown in Magnesium Metallic. Powered by a 1.7 Liter 4 Cylinder providing 115hp while mated with 4 Speed Automatic transmission for easy passing commands. 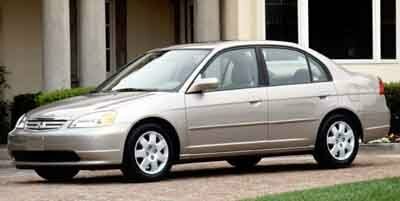 This Front Wheel Drive Sedan is easy to drive and will help you see near 40mpg.Our Civic LX lives up to Honda's reputation for space-efficient design with plenty of space for passengers without feeling like you're driving a boat! Settle into the supportive, yet comfortable cloth seats, then admire the soft-touch materials spread throughout the cabin as you turn up the stellar sound system. With all the creature comforts you know and love, you'll be glad you found this LX Sedan.You can breathe a sigh of relief; this Honda is sure to keep you and your loved ones secure with LATCH, child safety locks, side-impact door beams, and an army of airbags. Few other cars can match Honda's overall balance of strengths! You're going to love this Civic, so hurry in before it's gone! Print this page and call us Now... We Know You Will Enjoy Your Test Drive Towards Ownership! Keyless Entry | Power Accessories | Cloth Seats | CD PlayerMeet our attractive 2008 Saturn Aura XE Sedan shown in Silver Pearl! Powered by a 2.4 Liter 4 Cylinder generating 169hp while mated to an efficient 6 Speed Automatic transmission. This Front Wheel Drive offers a fun driving experience with a smooth ride as it delivers nearly 30mpg on the open road. The exterior boasts body-color bumpers, chrome accents, and automatic headlights.The spacious XE trimmed cabin comes equipped with a wide range of amenities including comfortable cloth seating, a great audio system with CD/SAT/Auxiliary input, full power accessories, a trip computer, keyless entry and cruise and audio controls on the leather-wrapped steering wheel.For added peace of mind, the Saturn safety list includes daytime running lights, an array of airbags, ABS, and more. This beautiful Saturn just simply offers too much for you to pass up! Print this page and call us Now... We Know You Will Enjoy Your Test Drive Towards Ownership! AM/FM Radio Front Wheel Drive Please let us help you with finding the ideal New, Preowned, or Certified vehicle. 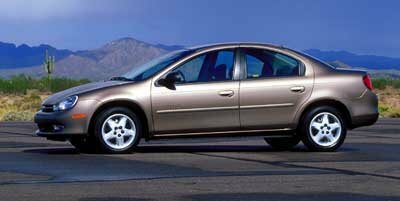 Check out our 2002 Honda Civic EX Sedan in Satin Silver Metallic! It's synonymous with automotive quality, reliability, and efficiency. Under the hood sits a 1.7 Liter 4 Cylinder that boasts 115hp. Paired with a 4 Speed Automatic transmission, this Front Wheel Drive has a lot of get-up-and-go, while scoring an impressive 38mpg on the highway.Classic good looks abound with our Civic and are enhanced by body side molding, power mirrors, a sunroof, and great-looking wheels. It is very roomy for a small car, offering comfortable seating front and back. Enjoy power accessories, a pass-through rear seat, cruise on the wheel, key-less entry, a great sound system, and lots more.Befitting its legendary reputation for safety, our Honda Civic Sedan lets you drive confidently knowing ABS and plenty of airbags help to keep you out of harm's way. This Civic is a smart choice. So don't delay - Print this page and call us Now... We Know You Will Enjoy Your Test Drive Towards Ownership! Keyless Entry | Power Accessories | CD PlayerOur great looking 2005 Honda Accord LX Sedan in Nighthawk Black Pearl is ready for you. Powered by a proven 2.4 Liter 4 Cylinder offering 166hp while tethered to a smooth-shifting 5 Speed Automatic transmission. This Front Wheel Drive delivers powerful acceleration for passing, strikes a perfect balance between ride and handling, as well as securing nearly 34mpg on the open road.Step inside the well-designed LX cabin and you will notice plush cloth seating and attention to detail from the leather-wrapped steering wheel with cruise control, to the easy to read gauges. Choose the music that moves you on the fantastic AM/FM audio system with an in-dash CD player. You will appreciate keyless entry, full power accessories, air conditioning, and more.Honda safety features are onboard, such as ABS, anti-roll bars, and airbags to keep you and yours protected. This Accord Sedan delivers high levels of quality and performance and ranks at the top of class among the competition. So... Print this page and call us Now... We Know You Will Enjoy Your Test Drive Towards Ownership! Scores 27 Highway MPG and 20 City MPG! This Ford Taurus delivers a Gas V6 3.0L/182 engine powering this Automatic transmission. Warning lights-inc: airbags, door ajar, battery, oil pressure, service engine soon, seat belt reminder, low fuel, Variable intermittent windshield wipers w/washer, Trunk grocery bag hooks. *This Ford Taurus Comes Equipped with These Options *Tilt steering column, Speed control, Solar-tinted glass, Side door high strength intrusion beams, Securilock/immobilizer anti-theft system, Remote keyless entry, Rear window defroster, Rear floor heat ducts, Pwr windows, Pwr rack & pinion steering w/variable assist. * Visit Us Today *Come in for a quick visit at Larry H. Miller Ford Lincoln Draper, 11442 South Lone Peak Parkway, Draper, UT 84020 to claim your Ford Taurus! Priced to sell at $1,850 below the market average. This model has many valuable options -Leather seats -Heated Mirrors 4-Wheel Drive -Auto Climate Control -Premium Sound System -Automatic Headlights -Fog Lights -Multi-Zone Air Conditioning -Security System -Garage Door Opener -Power Locks -Keyless Entry -Power Windows -Steering Wheel Controls -Cruise Control -Leather Steering Wheel -Roof Rack Automatic Transmission -Rear Bench Seats On top of that, it has many safety features Save money at the pump, knowing this Jeep Grand Cherokee gets 19.0/15.0 MPG! Call Larry H. Miller Used Car Supermarket Riverdale at (801) 774-2600 to confirm availability and schedule a no-obligation test drive! We are located at 5212 Freeway Park Dr, Riverdale, UT 84405. Priced below Market! Automatic Headlights AM/FM Radio Front Wheel Drive Please let us help you with finding the ideal New, Preowned, or Certified vehicle.